Unstoppable passion, a fierce commitment to their audience, relentless touring in the G-Bus, a 35-ft Bounder RV; all elements which have founded Jacob and Lily as one of Canada�s newest must see acts. In only a few moments this endearing duo will take you from tears to laughter; all the while gently weaving a tapestry of thoughtful, nearly spiritual moments which will linger long after the final note is played. With their unique and organic sound; Jacob and Lily are the freshest act to emerge from Winnipeg�s rich music community. Incorporating the cajon beat box, world percussion instruments and a partial drum kit, Caleb is the perfect compliment to Karla�s powerful voice, which critics have compared to Jann Arden, Ani DiFranco and Sarah McLaughlin. Karla Adolphe�s soaring vocals paired up with Caleb Friesen�s complex fusion-style rhythms creates an electric atmosphere that captivates their audiences. Jacob and Lily have had a busy freshman year performing at an official showcase at the 2007 NXNE festival, 2007 & 2006 MARIA Manitoba Music Showcase at OCFF, Creston Valley Music Fest, Gateway Festival, Great Woods Music Festival, Harvest Sun Music Festival, Winnipeg Fringe Festival, Fallout Artfest in Minneapolis, The Harvest Moon Festival, Winnipeg Folk Festival Lunchour Series, SNACC Music in the Ruins Series, Winnipeg Folk Festival Young Performers Showcase, the Winnipeg Folk Exchange Grand Opening. .
Jacob and Lily have also enjoyed sharing the stage with Elliot Brood, Alana Levendoski, The Arrogant Worms, Craig Cardiff, Twilight Hotel, Cara Luft, The Doug and Jess Band, The Cracker Cats, 100 Portraits, Trace Bundy, Holly O�Reilly, Nathan Rogers, Little Miss Higgins, Matt York, MB Hal, Lindsay Jane, Dan Frechette, Jaylene Johnson and Rik Leaf. 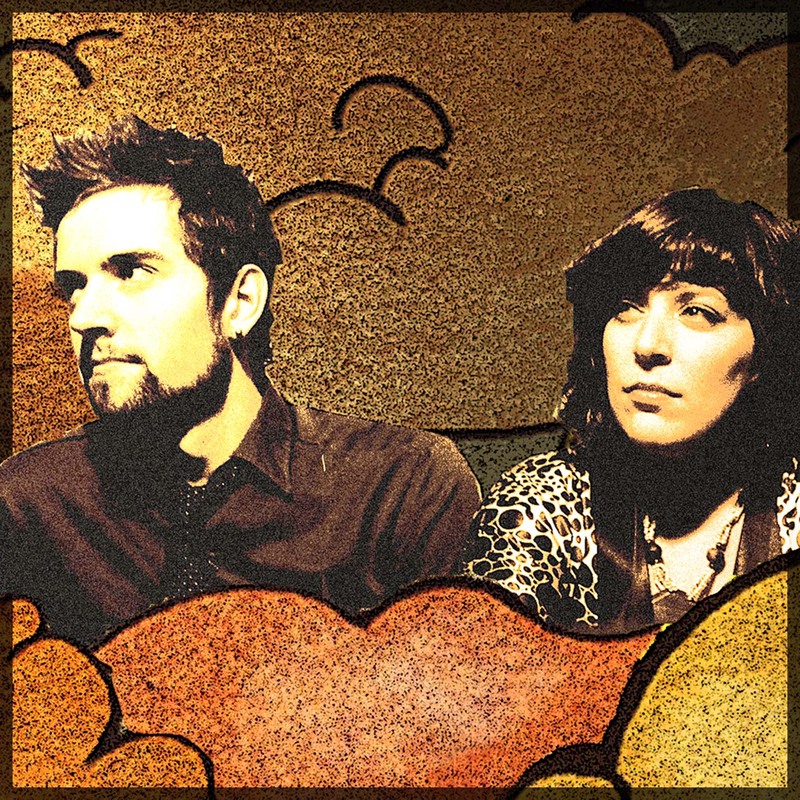 Known for being highly innovative and creative, Jacob and Lily did not record a second of The Cathedral in a studio, rather each track was recorded on location in various Winnipeg venues hand picked to capture Jacob and Lily�s organic sound. Jacob and Lily have had multiple tracks off their debut album, The Cathedral, included on compilations such as 2007 Manitoba Music CD, Bridge Songs Compilation, 2006 Manitoba Roots CD, as well as national airplay on CBC Radio programs like Definitely Not the Opera and Freestyle and collegiate/regional programs throughout Canada and the US. In 18 short months these two have played over 230 shows across North America and sold 2000 copies of their new album. These full time gypsies are 21st century pioneers happily redefining the terms of their success.